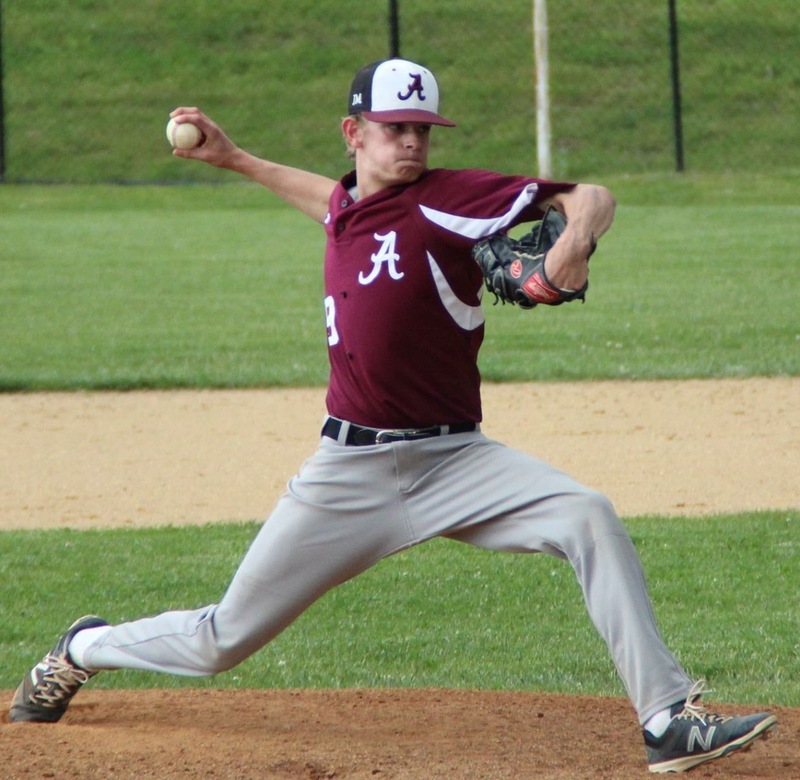 The Albertus Magnus baseball team, along with every other ‘9’ in the county that has been hampered by the weather, is itching to get onto the diamond. As with most other teams, too, the Falcons are hopeful of turning in a solid season. “We’re ready to play,” offered fourth-year Albertus Magnus Coach Dan Freeman, whose team is playoff experienced and returnees a bevy of veteran players. Pending weather and field conditions, the Falcons are scheduled to start anew on Friday afternoon at Riverside HS in Yonkers. 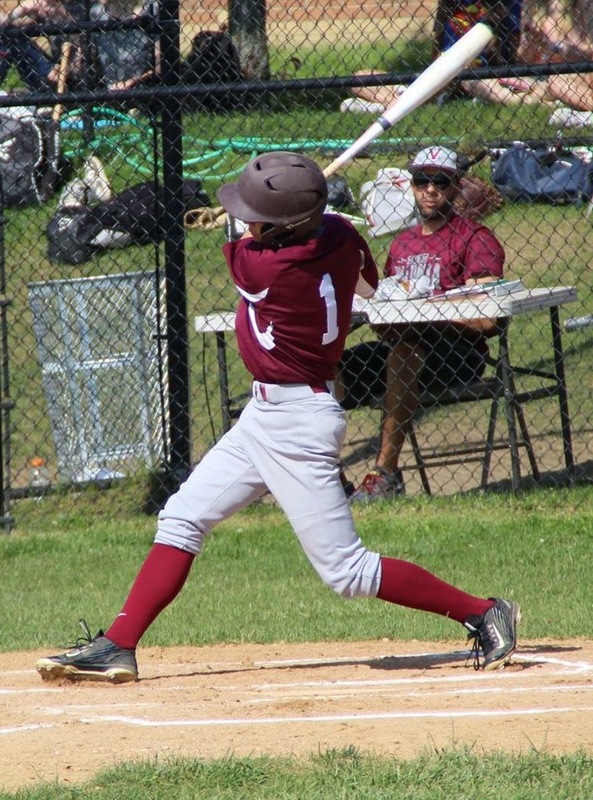 The scheduled home opener is April 4 at 4:15 p.m. against Roosevelt Early College HS, another Yonkers school. “We’ve been (practicing) indoors, on the outfield grass, the parking lot, the tennis courts, the football field, and we’re ready to go,” added Freeman, who will be assisted by Joe Zeccardi of Bardonia, an East Ramapo teacher who was the head baseball coach at Rockland Community College for 13 years. Freeman, himself a graduate of Albertus Magnus (Class of 2007) where he played baseball, would like a repeat of his 2015 Falcons team, which won the Section 1 championship while compiling an overall 18-6 record. If not another title, then Freeman believes the team should improve upon last season’s performance when it went 11-10 and lost to Westchester County’s Keio in the Section 1 semifinals (not to be overlooked is Freeman’s first season at the helm, when Albertus Magnus went 12-8 and lost in the first round of the tournament). Anchoring the pitching staff is senior right-hander and Oneonta-bound Mike Dunne of Stony Point, who can be found at first base when not on the mound. “He has great control and is very experienced,” said Coach Freeman, noting that Dunne also plays summer ball with the Rockland Pirates. Senior catcher Stephen Greeley, who will play for his dad, John Greeley at Rockland CC, also supports the team from the pitching mound. Freshman newcomer Joe Giudice will back up Greeley behind the plate. Manning the key shortstop position is junior returnee Frank Margiotta while sophomores Steven Travaglini and Sean Clifford, both of Stony Point, will vie for playing time at third base. Travaglini played sparingly as a freshman last season while Sean Clifford, the younger brother of senior outfielder/pitcher James Clifford, is a first-year varsity member. Other newcomers are sophomore lefty-swinging outfielder Shane Brosnan of Stony Point; Michael Andretta of Stony Point, another sophomore lefty-swinging outfielder; junior outfielder Ruben Roman; junior outfielder Zach Rivera, who is the younger brother of returning senior outfielder Jake Rivera; pitcher/outfielder Mike Accurso, a junior; and junior pitcher/outfielder Matt McArdle. Other seasoned contributors are junior center fielder/pitcher Joe Ottaviano; left-handed-swinging second baseman Chris Cooney of Stony Point, a junior; and senior pitcher/infielder Jack Rockhill. Another returnee, filling the indispensable role as team statistician, is Mike Gonoud of Stony Point, who will attend St. Thomas Aquinas College in Sparkill this fall. Overall, Freeman is high on this year’s version of the Falcons despite the lack of a left-handed starting pitcher. Be that is it may, Freeman is expecting team-wide improvement rather than looking for any one player to develop into a superstar. The celebrated Nanuet Relays, forged, many say, from the old but not forgotten dual-meet era, will be held April 8. This year marks the 50th Golden Anniversary, with the track & field events set to get under way at 8:30 a.m. The Founders Presentation is set at 1:30, with an alumni run and 4×100 relay bringing back the standouts of yesteryear. A post-meet gathering at the Pearl River Elks Club is scheduled at 4 p.m. for Rockland track alumni, coaches and officials. Contact Ed Mooney at mooneddie@yahoo.com. Former Pearl River all-State third baseman Colleen McCoy is batting .333 in a part-time role in her freshman season on the Moravian College softball team, which got off to a flying start by winning 14 of its first 16 games. The Greyhounds, highly ranked in the National Fastpitch Association Division III Top 25 poll, host Juniata College in a doubleheader on April 1, then hit the road for doubleheaders against DeSales University in Center Valley, Pa., on April 4 and Susquehanna University in Selinsgrove, Pa., on April 4. Moravian returns home to Bethlehem, Pa., on April 8 for two games against Muhlenberg College. … Graduate midfielder Kevin McNally of Hillburn is tied for third in scoring with 21 points on the men’s lacrosse team at Mercy College in Dobbs Ferry. The nationally 12th-ranked Mavericks are home April 2 in a Pink Games challenge against Molloy at 1 p.m., then visit Dominican College in Orangeburg on April 7 at 4 p.m. The host Chargers’ roster includes North Rockland HS alum Sean Driscoll of Stony Point, a senior midfielder, and Kessler Felix, another senior midfielder, who also played football and wrestled at Nyack HS. … The high-flying SUNY Cortland baseball team is off to a 15-3 start, and is slowly breaking in two freshman left-handers out of North Rockland HS in Eric Sandusky of Stony Point and Chris Dodrill of Haverstraw. Sandusky has not allowed a run in four appearances while Dodrill has seen action in just one game for the Red Dragons, who host Brockport for a twin-bill on April 1 and stay home for twin-bills against Union on April 5 and Oneonta on April 7. … Clarkstown South HS alumna Camryn McGrath of West Nyack is a second-year member of the women’s rowing team at the University of Delaware. Last season, McGrath competed in all eight regattas for the Blue Hens, who meet Saint Joseph’s and highly ranked Pennsylvania on March 18 at the Schuykill River in Philadelphia. The Blue Hens return to the Schuykill on March 25 to compete in the Murphy Cup. … Clarkstown South HS alum Anthony Morris, a senior right-hander, went 3-0 as the St. Thomas Aquinas College baseball team went 11-9 in its first 20 games. Morris, of New City, also posted a 2.11 ERA for the Spartans, whose home games are primarily held at Palisades Credit Union Park in Pomona. Fred Adler of Stony Point will receive the prestigious Joe Holland Lifetime Achievement Award at the 44th Rockland County Sports Hall of Fame Induction Dinner on April 22 at the Pearl River Elks Club in Nanuet, beginning at 6 p.m. … Adler, who has given more than four decades of service to track & field officiating at the local, state, regional and national levels, will be joined by former Nyack HS football coach John Castellano, who now lends his expertise at Westlake HS in Thornwood; Phil Donnelly, Pearl River; Tom Mulroy, Ramapo; Al Taylor, Nyack; and Jerome Whidbee, Nyack. … Brooklyn Sports and Entertainment is seeking a communications coordinator in its Brooklyn office. For details visit http://www.brooklynse.com/our-company/join-our-team. … The track & field community in particular and the community in general might wish to extend a helping hand to Brent Lee Sr., an official in Rockland and Section 1 for more than three decades who, writes his son Brent Lee Jr., is in a “world of trouble” with a very severe cardiac condition that has led to massive medical expenses. Contact Junior at Brent@phunphotoinc.com or call 845-406-0035. … Meals & Wheels, which brings “miles of smiles” to many less fortunate in the county, is staging a fund-raising Golf Challenge on May 8 at Spook Rock Golf Course in Suffern. Register by calling Stephan Papas at 845-624-6325 or email spapas@mowrockland.org. … The 17th Golf Classic for United Hospice of Rockland is schedule June 12 at Paramount Country Club in New City. Contact Sarah Henry at 845-634-4974 or email shenry@hospiceofrockland.org.